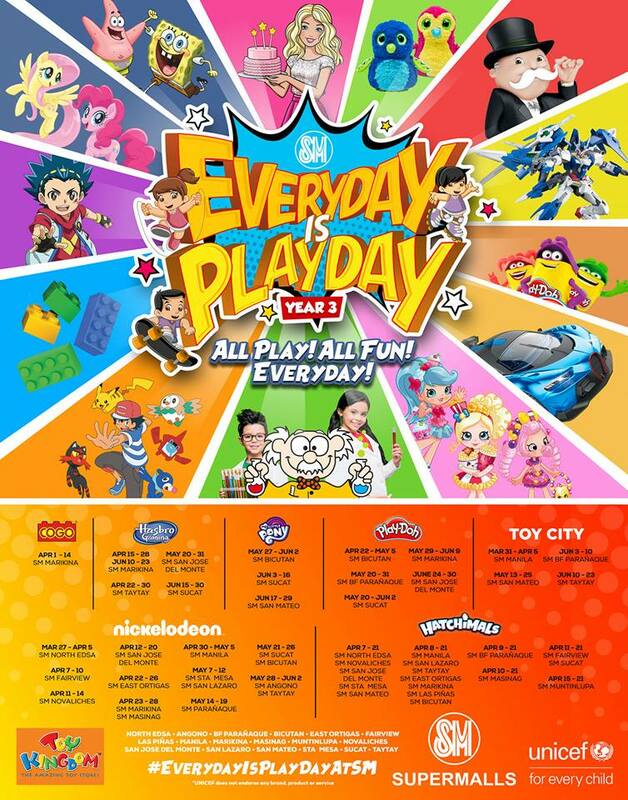 To kick-off summer, SM Supermalls launched this year’s Everyday Is Play Day, the biggest collaboration of the best-loved global toy and children’s brands. The campaign will showcase a series of exciting shows and festivities from March to October 2019 at your favorite SM Supermalls. Kids are surely in for a fun summer as SM Supermalls bring exciting activities through a showcase of newfound wonderlands filled with real-play and digital experiences featuring toy collections, play machines, and giant interactive displays. SM Supermalls will be featuring over 30 global brands including Toy Kingdom’s biggest brands such as Barbie, Hatchimals, Paw Patrol, Shimmer and Shine, Pokemon, Shopkins, Beyblade, My Little Pony and many more. 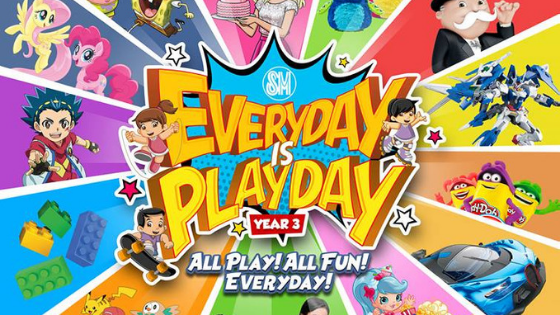 “SM brings back Everyday Is Play Day with kiddie character meet-and-greet and interactive play that aims to develop their confidence and social skills,” said Jonjon San Agustin, SM Supermalls SVP for Marketing. What makes this year’s campaign extra special is the partnership of SM Supermalls and UNICEF to promote and instill every child’s right to play, relax, and indulge through a holistic approach on both their artistic and recreational activities. Through this partnership, they promote their shared advocacy to bring more smiles to children’s faces across the country. Summer is more fun at SM Supermalls because #EveryDayIsPlayDayAtSM. Keep updated by following SM Supermalls on Facebook. Don’t forget to let your kids #EatPlayShopInTheCity this summer at these participating malls: SM City North EDSA, SM City Fairview, SM City Novaliches, SM City San Jose Del Monte, SM City Manila, SM City San Lazaro, SM City Sta. Mesa, SM City East Ortigas, SM City Taytay, SM City Angono, SM City Marikina, SM City Masinag, SM City San Mateo, SM City BF Paranaque, SM City Sucat, SM City Bicutan, SM City Las Pinas, and SM Center Muntinlupa.